The lead statue of the Maltese Falcon used as a prop in the 1941 movie starring Humphrey Bogart sold at a Bonhams auction on Nov. 25, 2013, for over £2.5 million. Don’t think this will be around for long. It’s fresh in and for Collection Only, an Original Vintage 1950’s ‘Kitchen Maid’ in Very Good Condition. 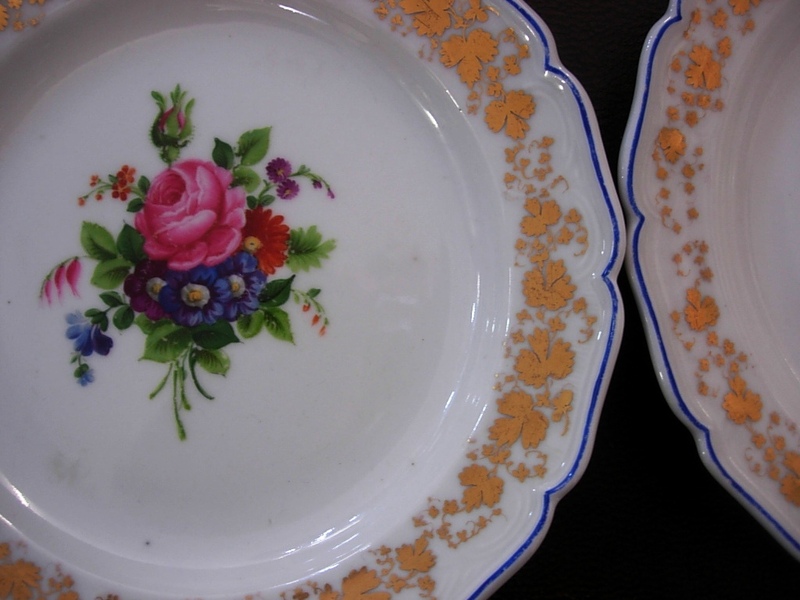 Beautiful Set of Six Hand painted and High Gilded Floral Dessert Plates produced by Royal Berlin KPM. They date circa 1844 – 1847 and each is marked KPM and carry the Blue Eagle Mark. OldeWorlde wins a Green Apple Award in Business News in the Isle of Wight County Press Friday, September 13th 2013. Shhhh……Keep it to yourself….you are the first to know…..
OldeWorlde of Sandown has been named a Winner in this years 2013 International Green Apple Awards for Environmental Best Practice. The Award will be presented at a Presentation Ceremony to be held at the House of Commons, in London on Monday, 11th November 2013. Everything available through OldeWorlde is Reclaimed and Recycled. Whether you are buying a Fine Antique or Vintage Collectable all items are Carbon Neutral having been manufactured over 30 years ago. Nothing goes to Landfill and everything is recycled in some form, even items ordered through our website are sent out in recycled packaging. Likewise, by buying Antiques and Collectables rather than new modern copies you are Saving Money as well as helping to Protect your Planets Future. You can rest assured when buying anything from OldeWorlde we have you, your children’s and your planets best interests at heart!